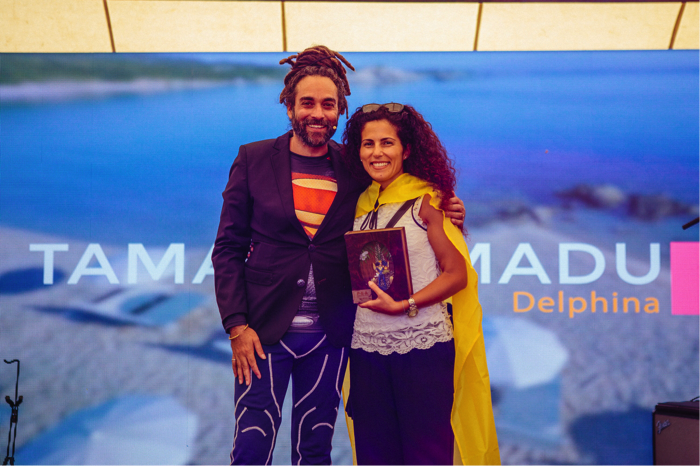 Delphina Hotels & Resorts; a collection of eight 4 and 5 star luxury destinations in northern Sardinia, has won the ‘P.E.A. Travel’ award at the 2018 P.E.A. (People. Environment. Achievement.) Awards – the UK’s leading green awards, which honours people and companies across the globe who are pioneering sustainable and environmentally conscious initiatives. Delphina is the first Italian hotel group to use entirely green and renewable energy across its complete portfolio, including its Head Office and eight resorts. As part of its We Are Green® protocol, the commitment to green energy allows the hotel group to save 3,536 tonnes of CO2 each year. This commitment to the environment can also be seen in a number of additional actions, which contribute towards the protection of the natural environment. These include ecological waste disposal, eco- and bio-friendly Spa products, Ecolabel cleaning products, the automatic shutdown of lights and air conditioning in most of the rooms, as well as electric vehicles for guests in-resort transportation. All of Delphina’s publications and catalogues are printed with mineral oil-free inks on ecological cellulose paper ECF (Elemental Chlorine Free) and certified by the FSC (Forest Stewardship Council) and the PEFC (Program for the Endorsement of Forest Certification Schemes). The Resort & SPA Le Dune www.resortledune.com boasts a real vegetable garden and chicken run as an educational experience for little guests to learn about Mediterranean plants and follow various stages of cultivation from seed to fruit as well as collecting the eggs laid by the free-range hens. Delphina Hotels & Resorts www.delphinahotels.co.uk is also proud to be a Corporate Golden Donor in support of FAI, the Italian Environment Fund which works for the protection of the beauty, culture and natural heritage of the country.